In an ideal world, hay sales would always play out on the local level. Buyers would be able to inspect the bales before purchase, and transport costs would be minimal. Unfortunately, Mother Nature occasionally ruins the hay crop in whole states, so consumers must wander far afield to find a supplier. Conversely, ideal weather can create a hay glut, for which producers are hard-pressed to find enough buyers locally. 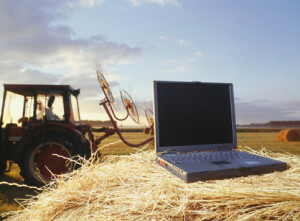 Internet hay exchanges have been around since the 1990s. As in any transaction, there’s always the potential for fraud — on both sides. But by exercising common sense, seller and buyer can launch a mutually advantageous business relationship online. These sources operate nationally, with search options listed by state. Several of these clearinghouses include the Canadian provinces. Many will post â€œhay for saleâ€ notices for free. Others require nominal subscription fees covering multiple text listings and photographs. The USDA’s Farm Service Agency also offers a (free) online clearinghouse, Haynet, to bring together hay producers and consumers. Form of payment (cashier’s or treasurer’s check, personal check, major credit card or PayPal). Few sellers are set up to take credit cards. And accepting a personal check from an unknown buyer can be risky. PayPal is becoming more and more common in online hay sales, because of the protection afforded both sides. Now it’s the buyer’s turn. After zeroing in on some likely ‘hay for sale’ ads, he should contact the sellers, by phone or e-mail, to learn whether there’s any room for negotiation on the price.  Can the seller provide the names and contact info of satisfied customers? What animals are the typical end consumers of the seller’s hay? Horse owners, for example, need higher quality hay than farmers who run beef cattle, which can better utilize low-nutrition hay and can better tolerate mold. In the course of this communication, buyer and seller should agree on the inspection criteria upon delivery of the hay. Although few sellers draft formal sales contracts and many hay transactions evolve from an oral agreement, it’s a good idea to get something in writing, in advance of delivery. An exchange of e-mails, spelling out the terms of the transaction, can protect both sides. Seller and buyer may not be the only parties to the transaction. They may need to contract with a separate hay transport company. Transport details should be worked out well ahead of delivery. Various government entities can also get into the mix. Some interstate hay transports require prior certifications. Many northern states, for example, demand proof of proper storage conditions for hay originating in fire ant regions. Some jurisdictions have specific weed control certifications for incoming agricultural products. Without the necessary documentation, a semi-load of hay can be turned back at the state border. What has your experience been with online hay exchanges?